I believe that a whole-foods short-term cleanse can be a hugely beneficial way to support your body, mood and mind. But I also believe that many people enter a cleanse when they shouldn’t and their results and experience reflect that. Here are 5 questions that will help determine not only if a short-term cleanse is a good idea…but also what kind of cleanse might be the best fit. 1. What area needs cleansing the most right now? Early on in my own experience with cleanses I learned it was often not just my body that needed a good cleaning out. It was often the other parts of my life– my self care, the products I used on my body, how my kitchen and pantry were organized, how my home was functioning–these were areas that sorely needed attention as well. 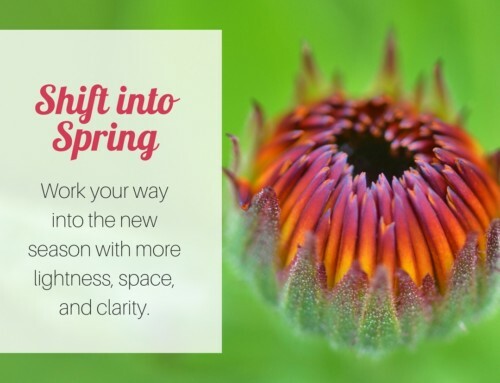 So when I designed my Cleanse Your Life workshop, I knew I wanted to expand the idea of cleansing to the whole-person and work through 6 simple modules of whole-life cleansing. It’s fascinating to me is that as I lead women through these six modules they each begin to realize where they need to focus on first. So many of us have gotten into the habit of automatically focusing on our diet exclusively when we want more clarity and lightness to come into our lives…but the truth is there are many areas of our lives that can get weighted down and stuck. Sometimes the first place to focus is on your self care practice, or your pantry, or that entryway that overwhelms you every time you open the front door. 2. Where are you starting from? Take an honest look at your home, life and diet right now. This isn’t about making you feel badly, but about knowing what is realistic and how much change you want to take on during your cleanse. In the food department, for example, if you are eating a lot of processed foods, feel strong sugar cravings throughout the day, rely heavily on caffeine, eat fast food regularly or lack fresh foods daily you’ll want to be honest about how far to shift your diet during your first cleanse. Think about where you are and then choose a cleanse that takes you a couple “steps” toward the more cleansing side of the spectrum. I’m all about setting yourself up for success instead of perfection– so you begin to feel the momentum of real change instead of feeling paralyzed by frustration at not hitting (unrealistic) goals. 3. What season are you in? Personalizing your cleanse to the season you are in makes a lot of sense. You can choose foods that are naturally fresh and in harvest. You can target the organs that most need nourishment during that particular season. You can honor your own body’s seasonal needs and natural cycles. For example, in the colder months of winter, the climate draws heat and moisture out of our body– leaving us cold and dry. It is important to replenish that warmth and moisture in the foods we eat. Cleanses in the spring and summer would indicate a larger emphasis on raw foods…and ones that cool and help move excess mucus through the body. 4. How much focus can you reserve for your cleanse? The great likelihood is that you can not check out of life for a week and focus exclusively on your cleanse. Most of us have obligations and responsibilities that we can not drop. As busy moms it’s essential that we find ways to care for our health within the lifestyle that we lead right now. It’s one thing to adjust the pace of your days in order to give yourself the renewal you deserve, but that doesn’t mean you can’t cleanse while still maintaining your obligations. It’s crucial to be realistic about how much energy and space you have for cleansing and to choose a cleanse accordingly. How much time can you devote to preparing the foods you will be eating (while still preparing the foods your family will be eating). How much space can you make for additional non-food cleansing supports like massage, prayer, or exercise? Will you be able to give yourself mental rest and room for the release of emotional heaviness as well? Will you be able to reserve space for your spirit to grow and recoup from the busy lifestyle you have? Set yourself up for success by creating a plan that is realistic. 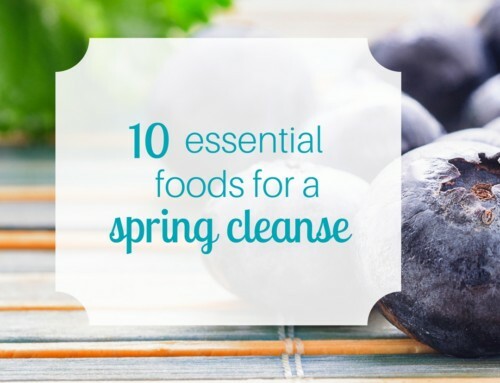 It is much better to lightly cleanse more often than to plan for a heavy cleanse once and have difficulty following through. 5. What results are you looking for? This comes back to your primary goal for the cleanse. What is driving you to go through with a cleanse? Your goals do not need to be lofty; don’t over-think this. State simply why you’re interested in cleansing and what you hope to experience. To design a straightforward route, you must be clear about where you want to go. In terms of your whole-foods cleanse, Cleanse Your Life outlines 10 different types of whole-food cleansing plans. They are on a spectrum ranging from least restrictive to most cleansing. It’s important to have options as you decide on what cleanse is right for you because there is simply no “one size fits all” cleanse and personalizing your experience will be the key factor in your success with the cleanse. 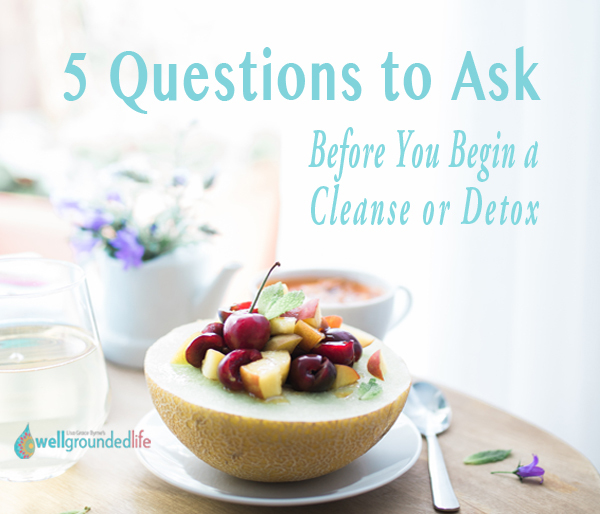 Every time you decide to cleanse, the answers to these 5 questions may be different…so they will lead you to a different plan…and sometimes a different answer to the question, “Should I do a cleanse right now?” altogether! I echo what Christine said. Thanks!